Rob has had a varied career, spending ten years across the financial industry, starting out in retail banking and moving into alternative lending six years ago. Rob joined DJS (UK) Limited in a Customer Care capacity and has earned four promotions during his tenure. Rob now heads up operations for the company, with a strong focus on ensuring all customers receive a fantastic level of service and that responsible, right outcomes are reached with all customers at all times. Rob is involved with all major projects within DJS (UK) Limited and has exposure to all areas of the business such as Marketing, Credit Risk, Customer Care, Finance and Tech which gives Rob a balanced view. This helps to ensure that all decisions have the customer’s best interests at the core, whilst reaching commercially viable and sustainable solutions. Dan has been working in the world of marketing for the past ten years. He started off in a creative and design capacity, moving into B2C and B2B PR and Marketing, and then into Strategic Marketing, Communications and Statistical Analysis. Dan has worked on creating award winning marketing and communications campaigns for leading food and drink, consumer, financial and charity brands, including Alpro Soya, Sacla, Chivas Brothers, Anthony Nolan and The Richmond Group. For DJS (UK) Limited, his focus is on the day-to-day running of the business, future planning, R&D, along with supporting marketing and operational Strategy. Matthew Box has worked as an Occupational Therapist for over 18 years in various fieldworker and management roles. He is also an experienced disability access auditor, having worked with large organisations such as Selfridges, the Arab National Bank, Theatre Royal and various regional councils. He is the founder of Inclusion.Me Ltd, a rapidly expanding nationwide independent Occupational Therapy (OT) & Disability Access Auditing company specialising in providing expert OT interventions, as well as advise on disability access issues to both the private and public sectors. Matthew has played a key role in Inclusion.Me winning a Local Business Accelerator Award, as well as 2 Best of the Best awards (Outstanding Entrepreneur & Customer Service) and 2 GBE awards (Outstanding Professional & Customer Service). Philip is a former winner of the ‘CIO Innovator Award for the UK’ and is a Fellow of the British Computer Society. He has over 35 years of experience gained working with well-known large brand companies, SME’s and start-ups in the UK, Europe and Globally. Philip is a ‘Hybrid’ change specialist, working primarily in the complicated areas where successful integration of Technology and IT services into businesses functions is vital for success. Rami is an entrepreneur and social and political reformer. 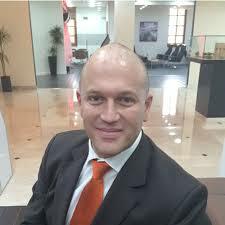 His business interests span from his principal company, Sun Mark, which is an international supermarket products marketing and distribution company, to interests in diverse fields ranging from shipping and beverage manufacturing to property development. Sun Mark is the only company to have been awarded the prestigious Queen’s Award for Enterprise for five years running. Rami was awarded the IOD Director of the year for a Large Company in 2013 and the Global Icon Award for International Trade & Enterprise in 2014. He was also named the Man of the Year at the GG2 Leadership Awards presented by the Prime Minister, David Cameron. In his speech David Cameron singled out Rami as an example of how people can assimilate into British society and become highly successful and a role model for others. In November 2012, Rami was asked to join the Princes Trust Enterprise Fellowship. The Fellowship is a collective of the UK’s leading entrepreneurs which works to enable The Prince’s Trust to reach young people and to pass on their experience and expertise to inspire the next generation of entrepreneurs. Rami is also Chairman of the British Sikh Association. Sir Michael has a portfolio of businesses that operate across the communications spectrum, centred around corporate, political and institutional leadership. In essence, everything which is needed to build, protect and sustain reputation. Starting in advertising, Michael swiftly established his own business: LIVE; which became the largest independently owned live marketing company. Here he spearheaded the worldwide re-launch of British Airways and the Hong Kong Handover Ceremony. At LIVE, he was also involved in developing ‘the story’ for London’s successful bid to host the London 2012 Olympic Games. This was closely followed by the winning campaigns for Sochi (2014 Winter Olympics) and Rio in 2016. During the 1992 General Election campaign, he assumed leadership of the Conservative Party’s presentation unit for Prime Minister John Major. After 15 years, his role concluded with the successful leadership campaign for Prime Minister David Cameron. He was director of the Golden Jubilee Concerts at Buckingham Palace in 2002 and has worked with the office of HRH the Prince of Wales since 2004. 2012 proved to be a momentous year with Michael having concluded his role of CEO on the Thames River Pageant in June, as well as chairing the companies which handled both the Royal launch of The Shard, and the Opening and Closing Ceremonies for the 2012 Olympics and Paralympics. In September 2012 he was knighted for his work on the Diamond Jubilee. Other large scale projects include the staging of the UK hosted G8 summit in Northern Ireland in June 2013, and the Opening Ceremony of the second Global Skills and Education Forum in Abu Dhabi in March 2014. Through his private office, he also works for a number of corporate leaders to assist them in the delivery of their transformation agendas and reputation management. He is a Director of The Oracle Cancer Trust at The Royal Marsden, and in his spare time, is a fanatical sports enthusiast, and ex-player of Leicester Tigers Rugby Club. Samie Al-Achrafi is an award-winning speaker, moderator and facilitator. His career spans five continents, working with governments around the world and organisations such as Walt Disney World, HSBC, Emirates Airline and Merck/MSD to create high performance cultures underpinned by values. Today Samie Al-Achrafi, together with his organisation Marmalade Fish, is training leaders across nine sectors. He inspires people to be the best version of themselves, imparting practical habits and tools to effect purposeful change, with the power to shift cultures. As CEO, he leads 35 Associates on an adventure to redefine leadership in business and reach 1 million people by 2020. Samie is a Chartered Fellow of CIPD, ILM and ITOL and a Chartered Manager with CMI. He is also an NLP practitioner, systemic and executive coach, certified HR Management Professional and assessor with the British Psychological Society. Recognising a gap in the industry to do marketing in a different, more cost-effective way Lauren Tauben founded Agent42, a creative, multi-discipline marketing agency, in 2012. True to this belief, Lauren has cast aside the ‘rules’ on how marketing agencies should operate and created a unique type of agency that bucks the norm. Agent42’s success is down to core values, which Lauren is resolutely passionate about: relationships, trust and flexibility. Agent42 operates a virtual office model, running at the forefront of technology with the latest cloud-based structures and processes. This offers Agent42’s clients unbeatable, flat, transparent rates, but also allows staff to work anywhere they choose; from a co-working space in New York, to a private members’ club in Dubai. This flexible, global, scaleable structure is truly unique. Lauren has built Agent42 into a robust, EMEA-wide business, with an extended roster of partners and clients that include well-known brands including Acer, Slush Puppie, Tango Ice Blast, Calor Gas, Tech Data, Veeam, Oki and more. Sharon is Managing Director of the multi award-winning Bid Writer Consultancy, which was established in 2014. The company’s ethos is to provide affordable bid-writing support to small- and medium-sized companies to help them win government contracts. Following a successful 30 year career in business development roles within charities and private sector companies, Sharon understood that winning contracts was becoming increasingly important to help businesses thrive and grow. Her business model – providing freelance writing support seven days a week, and out of hours – recognises that small business owners often have to prioritise their ‘day jobs’, while trying to respond to complex bid requirements within funders’ deadlines. As a member of the Association of Bid and Proposal Management Professionals Sharon is committed to helping companies win business by making technical writing spring to life – painting a clear picture of each companies’ experience and expertise. 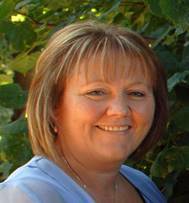 In the past three years, Sharon and her team have supported clients of all sizes and sectors to win contracts in excess of £130 million. Neil Fineberg is the Managing Director of successful award winning recruitment & development consultancy, The Finegreen Group – focused on helping organisations (predominantly Healthcare) recruit & develop the best people to Executive / Management positions; now also providing executive education, mentoring and board governance reviews. 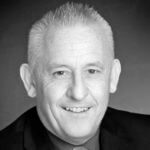 With 13 years of experience in his field, Neil has built up a business with excellent networks at the highest levels across the NHS, private healthcare and international healthcare arenas, as well as strong links to education, local government and large private sector providers of services to the Healthcare industry. Finegreen helps healthcare organisations appoint to the full spectrum of specialisms – everything from Boards and Non-Executives to HR & OD, Finance, Estates & Facilities, Project/Programme Management, Procurement, Commissioning, Strategy, Business Development, Clinical & Corporate Governance and Operational Management – together with their Medical / Clinical Division where they have a particularly high quality database of senior clinicians. In short, Finegreen see themselves as a true one-stop shop for senior levels of the recruitment industry. Matt Lumb is Chief Operating Officer and a Director at Tangle Teezer; the world’s first and best-selling detangling hairbrush with ten brushes now being sold every minute. Tangle Teezer has created a whole new category in hair care and has achieved global recognition in a remarkably short space of time. Since founder, Shaun Pulfrey, unsuccessfully pitched his idea on Dragon’s Den just six years ago, the company has gone on to win dozens of awards including two Queen’s Awards for Enterprise: for Innovation in 2012, and for International Trade in 2014. The brand has also achieved “CoolBrands™” status for the last two years and has just been ranked the 19th fastest growing privately owned company in the UK in the “Sunday Times 2014 Fast Track 100” league table. Matt has a strong background within accountancy and finance, but since joining Shaun in 2010 he now oversees the day-to-day running of the company, working closely with all departments. 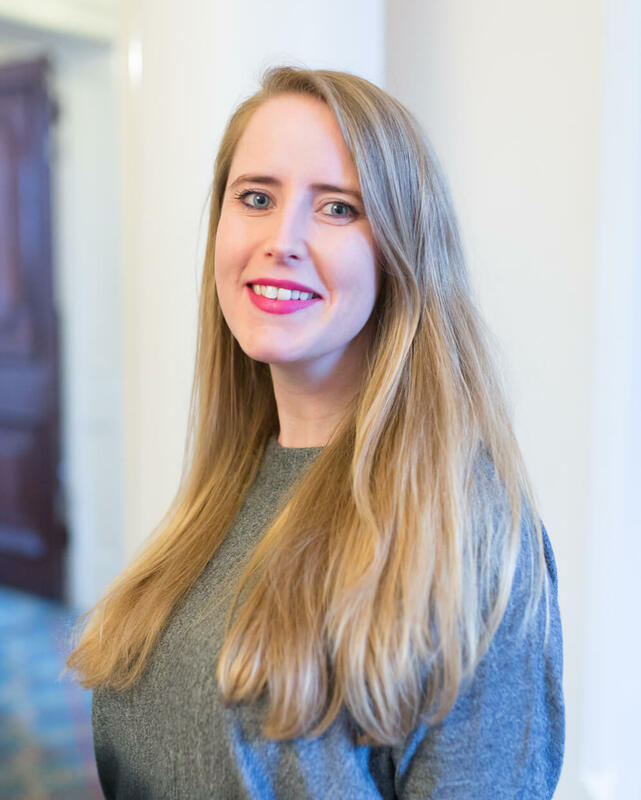 After graduating with a first-class honours degree and a stint in academia, Nicky had a fast-track career in the public sector where she studied Strategic Leadership at post-graduate level and became the youngest senior manager in her organisation. In 2010, she moved out of the public sector and founded what is now a thriving and multi-award-winning training, coaching and consultancy company. A Belbin Accredited Practitioner, Nicky’s approach to workplace learning is characterised by theory and experience wrapped up in creativity, with just a light dusting of madness. This trademark style has seen Nicky and her company rack-up a multitude of awards for business, innovation, entrepreneurship, and nationally at the Training Journal Awards. 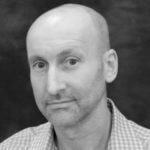 A graduate of Harvard Business School, Ian has always had a passion for information technology and combined IT with Marketing at M&S and MM Group where he created the first Internet shops for Wallace and Gromit. Ian formed eCharity.com during the .com boom before going on to become founder of Consumer Intelligence which provides access for companies to high-quality information about their price competitiveness to inform their marketing, pricing and product strategies. 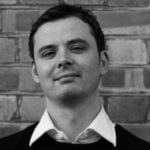 Ian is driven by a passion for information – the way it is collected, analysed, designed and delivered. Howard McKenzie spent 30 years as a manager and academic in education and training rising from tenant dairy farmer to Principal of a large College in Scotland. In 2008 he returned to the portfolio life of a consultant building an international client base in the engineering, financial services, education and publishing sectors. He remains the senior academic consultant for Pearson plc. – Direct Delivery who deliver education and training to 20000 students across the Gulf region. He is deployed to make high level educational management interventions including a four month assignment as Interim Dean at TQ Pearson Makkah College in Saudi Arabia. Howard is a Fellow of the Institute of Directors and a Chartered Director with experience of providing high level advice and support for Boards and companies. He is also a published romantic novelist. Leonor is a Fellow of the Chartered Management Institute and a Fellow of the RSA. By heading RAFT and helping lots of people to make lots of little changes, she hopes to create a big difference, because Leonor wants the thing she’s most proud of in her life to be something she has yet to do.